The Tato Gear Tarp Connector System uses an aluminum hook that easily slides along a continuous tarp ridge line and then wraps to hook in place. Opposite of the hook is a durable plastic toggle that attaches to the tarp. 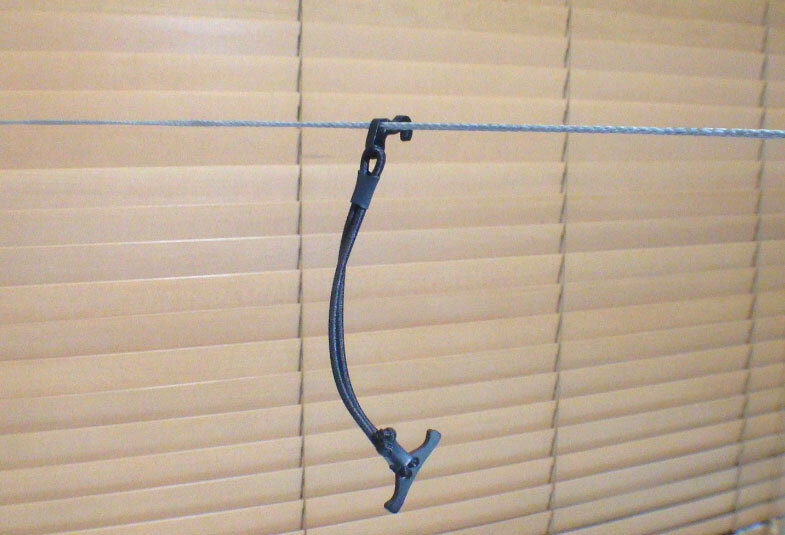 Connecting toggle to hook is a doubled-up length of shock chord. This elastic helps absorb movement along the tarp and keep it taut while reducing strain on the fabric. The total length of the connector is 5.75 in (14.6 cm) and the weight for the pair is just 0.4 oz (12 g). The tarp connector hook is best used with smaller diameter line, less than 2.2 mm. One reason for this is that the hook is prone to inadvertently pop off with bigger line, as you will notice in my video preview. The shock cord adds a measure of safety for the tarp fabric by providing some “give” and flexibility during stormy conditions or when someone accidentally trips over a guyline. The connector allows you to set up a tarp either above or below a ridgeline and also lets you easily connect and disconnect a tarp if you prefer to keep your continuous ridge line separate from the tarp or vice versa. They look good and should do the job in hand. I think I will try it out first with a piece of shock cord, a larks head to the ‘D’ rings on my tarp and a mini carabiner to the prussik on the ridge line. I think this will do the job but will be a little heavier. Does it make a difference to wrap the line around the back of the hook instead of the front, to keep it from popping off? Just the picture on the Tato site and it shows the line going around the back as well. Jim, upon closer inspection, I think you are correct. I may have been wrapping the cord around the wrong way. I’m going back to the lab tonight to evaluate. It is good to know what doesn’t work — learning from my mistake! You are correct. I designed these to wrap around the opposite of the direction of the hook. I am using 2.2 and as long as you wrap the proper direction it should lock in great. Thanks for commenting on this Bryan, and I’m sorry I got this wrong. On the flip side, it’s good to know it isn’t completely fool-proof, which provides me an opportunity to do an illustration perhaps. In my test, it seemed to be more about the size of the cord. The diameter of the hook just doesn’t provide enough “bite” around the 2.2 mm line. Thinner line, like 1.75 mm doesn’t have this same issue. Not trying to knock it, but it seems to be just another piece of equipment to get lost and really doesn’t seem to be an improvement. 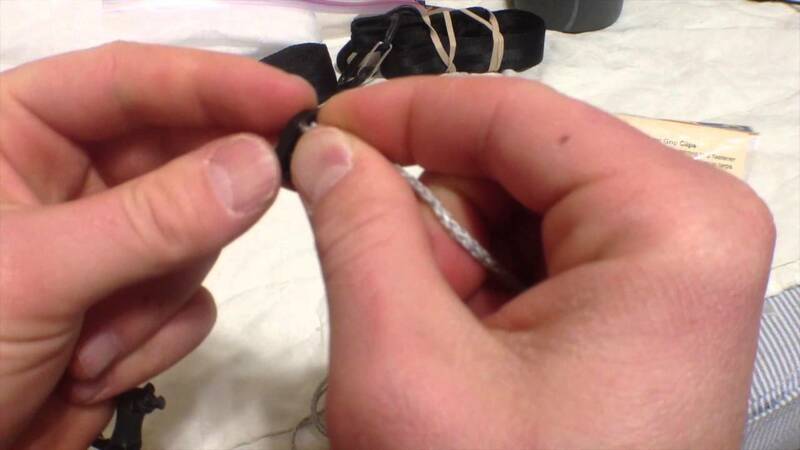 I use the Cliff Jacobson method of attaching about 12″ of line to the tarp eyelet with a larks head and then wrapping each tag end of the line around the ridge line about three time (in different directions) and tying the remaining ends together with a simple overhand knot and bow. It makes a prussik knot that can slide up or down the taught ridge line for adjusting the tarp and is a quick release for taking the tarp down. It’s lighter, can’t get lost, and hasn’t failed me yet. I like your method! I like the Prusik too, although I prefer the klemheist variation. Because you have install the Tato ridge line connector, it isn’t likely to fall off or get lost easily. This is one thing in its advantage over other types of connectors. The elastic and toggle are weak points. I would almost prefer modifying it with regular guy line attached directly to the tarp and skip the elastic and toggle portion. The jury is still out on whether this device offers any advantage in the cold, especially when it ices up. I’ll need to test that. The main reason I came up with this connector was the prusik. My wife has Fibromyalgia and has started having problems sliding the prusik. This allows anyone, no matter the strength, to move the tarp up and down the ridgeline with pretty much no effort. I too have always used your setup and never really thought of needing anything different until my wife started hanging with me. As far as getting lost, these stay attached to the ridgeline. What type of line are you using? Typically a prusik is tied with a smaller diameter line than what it is tied to. Some line works better than others generally. Really small line can sometimes jam. Dyneema line (Amsteel) often binds. Instead of a Prusik, you might consider a Klemheist knot. I’ve been preferring this over a prusik on small line. It doesn’t bind as easily and it is easier to loosen if it does. No, knots are not always difficult, but it is important to match the right knot to the situation. Prusiks, for example, work better with slightly larger diameter line and the type of rope used makes a difference too. Dyneema doesn’t knot well generally.